Buying a Log Cabin? – Are you 100% certain of making the right choice? “Thinking of Buying a Log Cabin? If you’ve gotten to the stage of actually buying a log cabin, you’re probably pretty excited, right?! Well, we all get a buzz when we buy something we have been longing to get for ages. What you mustn’t do, however, is let your heart rule your head and therefore buy impulsively. Take a few deep breaths and a few steps back and make sure that you really are choosing the absolute best log cabin for your situation. Most people will be buying a log cabin brand new. In this case you need to make sure that all the logs, design and other aspects of the specification are all right for you. We've done a whole section which go into details on all the various angles for these areas. However, if you are looking to buy a second hand log cabin, then things are somewhat different. You will need to know what to check to ensure your log cabin has been maintained properly and all the structure is in tip top shape. If you are thinking of taking it down and re-assembling it, then you must read our dis-assembly page. Buying a log cabin to take down and re-build elsewhere may sound relatively straightforward. Be very careful however, as many larger log cabins can be extremely difficult to dis-assemble. Some of the smaller cheap log cabins do not fit together anywhere near as tightly and are possibly designed to be taken down. If a smaller cabin is not easy to take down, you always have the option of craning it onto a lorry for transportation. For larger log cabins, many would be too heavy to lift and too big to get down most European roads anyway (although could be OK in North America). If it is a large, high quality log building, chances are it won’t come apart very easily and you may well cause irreversible damage taking it apart. 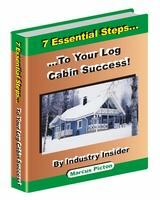 You must know exactly what’s included with your log cabin. We mentioned this before: some packages may seem very cheap, but the real reason may be that not all the materials come with it. To a novice the items not included might be easily missed, so make sure you have all you need. If it isn’t supplied, you need to know exactly where you can get it from and at what cost. The time lag between you placing an order for your log cabin and it arriving will depend on many factors. For smaller garden-type log cabins (most of which are mass produced), many sellers will hold some stock, in which case delivery could just be days away. 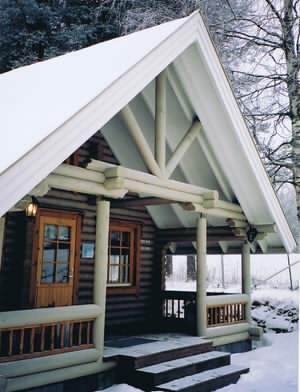 For larger log cabins, especially if it is a custom design, lead times are likely to be much longer. This may also be influenced in where the logs are made and how long it takes to ship them to your country. Discover more about likely lead times and make sure you find out before buying, so you are not disappointed! Buying a log cabin can be a tricky process because comparing products which are not the same is quite hard. Try to be as objective as possible when comparing prices and try, if possible, to get comparative specification levels as similar as possible to minimize any guess work. If you’ve not already done so, take a look at our log cabin cost page. Log cabin finance in some countries can be a little harder to come by than, say, a mortgage for a regular home. This is because in places where they are rare, banks may not necessarily understand them. However in this age of environmental enlightenment, some of the banks are actively seeking green clients. It is good for a bank's image to be seen to be environmentally aware and sustainable, with low carbon housing a key area. Also consider your payment terms when looking into finance. 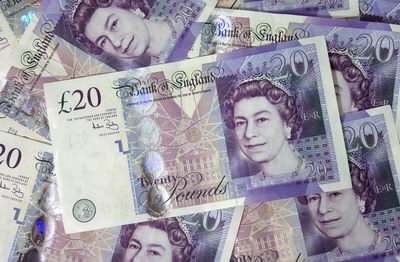 Some payment schedules can be quite different to others and larger projects are often split into more stage payments than smaller projects. Well, with so much information on log cabins, it can get a bit overwhelming at times. Do not despair however, as we will take you through the most crucial and essential areas of log cabins, to make sure you keep on track. If you focus on the most important aspects, then ultimately you will make a good choice. It is my aim that everyone who visits this website goes away confident that they have chosen wisely!